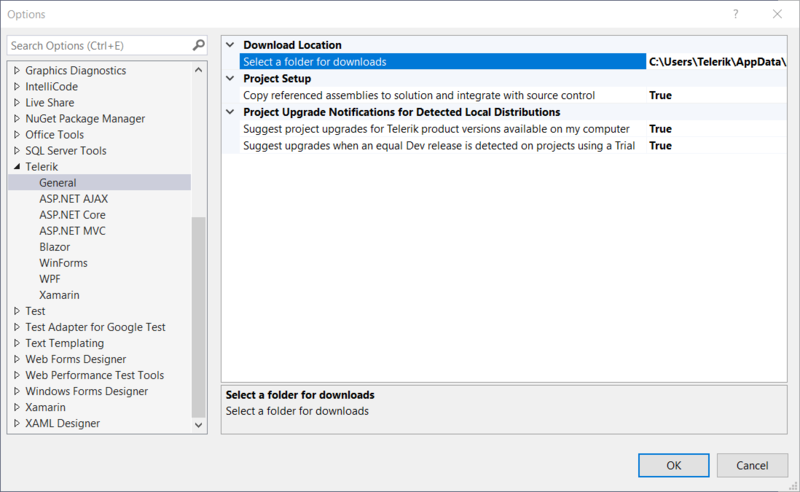 The Visual Studio Extensions options dialog provides settings, so you can configure the Telerik Visual Studio Extensions to best suit your needs. The Options dialog contains two sets of options that affect the Telerik UI for WinForms Visual Studio Extensions. The settings under the General category affect all of the installed Telerik Visual Studio Extensions. All settings under the WinForms category affect only the Telerik UI for WinForms Visual Studio Extensions. Configures the path where the extensions look for and store distributions. Changing the folder path will not move existing folder contents from your previous path. Please, move your previous folder contents manually in case you still want to use them. 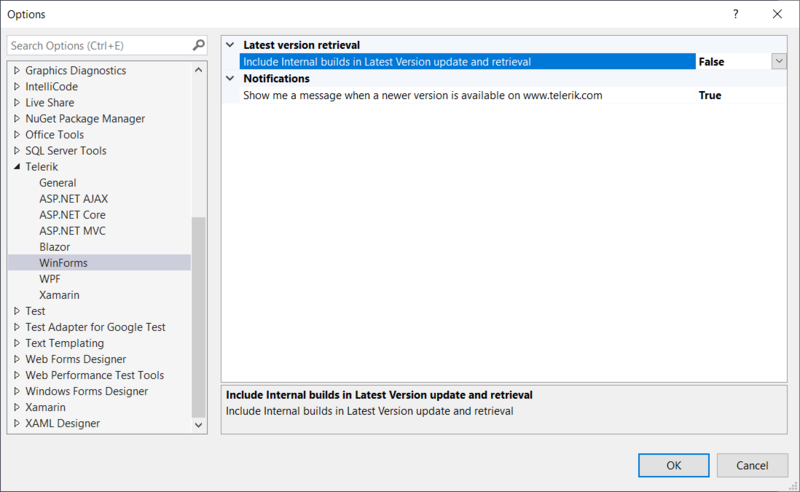 Include internal builds in Latest Version update and retrieval – When enabled, the Latest Version Acquirer tool will retrieve internal builds as well as official releases when checking for a new version. Show me a message when a newer version is available on www.telerik.com. When enabled and solution containing an UI for WinForms project is loaded, you will receive notification if a new version of Telerik UI for WinForms is available on the Telerik website.